The 2013 season brought the misfortune of broken bones to two of NASCAR’s top drivers, Tony Stewart and Denny Hamlin. Stewart's injury occurred during a sprint car crash in Iowa last summer, where he suffered compound fractures in the bones of his right lower leg. Stewart’s convalescence was long and tedious, requiring several surgeries and lots of grueling physical therapy. Hamlin’s last lap crash at Auto Club Speedway in March left him with a fractured vertebra in his lower back. Like Stewart, his Chase chances were nixed as he was forced to recuperate out of the car, watching from the pit box for four races. Even after Hamlin strapped back in, nagging discomfort and numbness limited his ability to “feel” the car and provide feedback to his team. On the broadcasting side of racing, another NASCAR notable had a rough end to 2013. Steve Byrnes was diagnosed with throat cancer in August, endured weeks of chemo and radiation, then spent the off-season regaining his strength. Many race fans their tweeted support and prayed for Byrnes, as well as the two drivers. Thankfully, Stewart, Byrnes and Hamlin are on the upswing now. They’re healing. All three made their mark at the Sprint Unlimited. 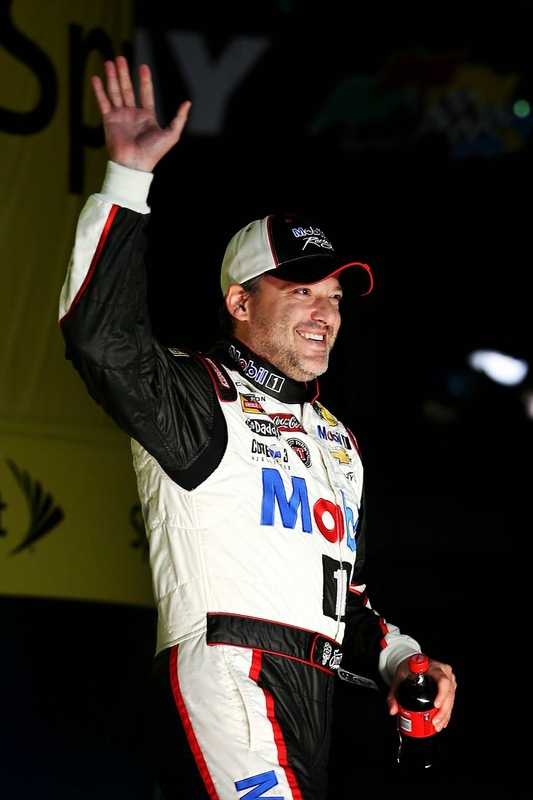 Stewart raced his Cup car, crashed and climbed out on his own, with no immediate pain. Byrnes returned to reporting in the garage and on pit road, to the delight of race fans. 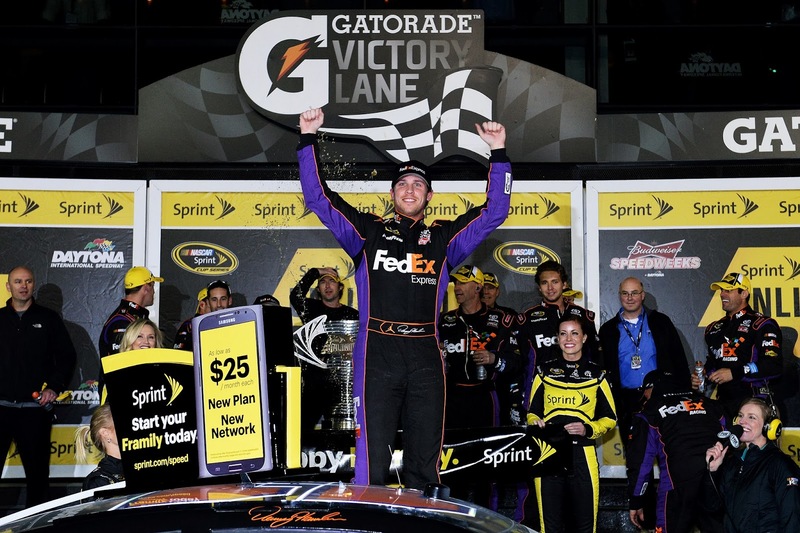 With his win last November at Homestead in the rearview mirror, Hamlin reaffirmed his return by taking the checkers. Suffering through pain and discomfort was part of the path to healing for these three men. During interviews, they discussed the physical aspects, but also the emotional side of their medical issues. When our bodies are broken, our hearts can become wounded, too. True healing restores the body and heart, and renews something crucial to living life to the fullest – hope. Imagine you were terribly sick, dying even, and someone came along and by an outlandish miracle, healed you completely by taking the disease upon himself. You would be whole and well, with hope for the future. How grateful would you be to that person? 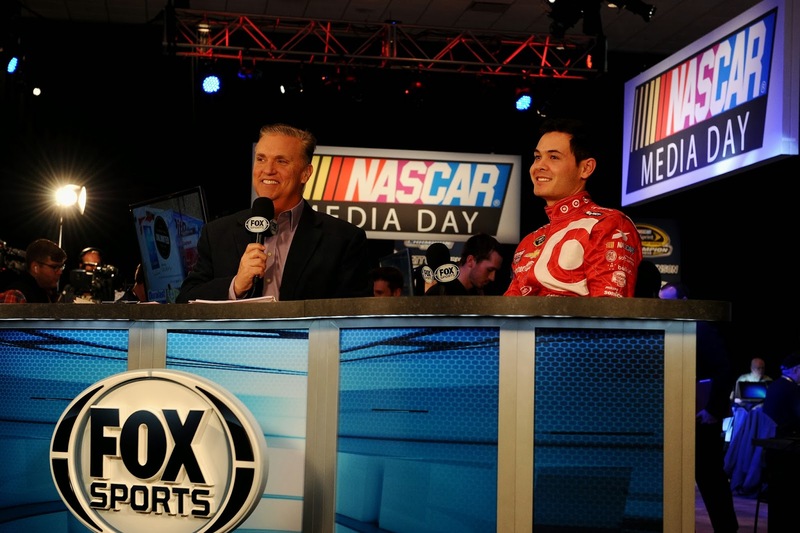 Steve Byrnes, left, is back for the 2014 season. Guess what? Jesus already did that for you. He healed us from our “disease” of sin, by taking it upon himself. When He was dying on the cross, he took the shame of all the stupid stuff we’ve ever done upon His own shoulders, so we wouldn’t have to suffer forever for it. It’s a free gift, yours for the asking. But just like a sick person has to go to the doctor for healing, you have to ask. The worst kind of brokenness a person can suffer isn’t fractured bones or even cancer. A much scarier malady is to hear how much Jesus loves you, and to harden your heart towards Him anyway. Being separated from Him means your heart will never revel in the gift of healing-from-sin He freely offers. Healing is a beautiful thing. It changes a bleak outlook by bringing comfort and redemption. Healing takes a tattered threadbare faith, one that’s hardly holding on, and knits it into hope. That’s what Jesus will do for you when you invite Him into your life. Go ahead, ask. Want more racing devotions? When you donate $25 to Skirts and Scuffs, we’ll send you a complimentary copy of Beth’s book, Race Fans’ Devotions to Go, a month-long, pocket-sized devotional book for NASCAR fans.